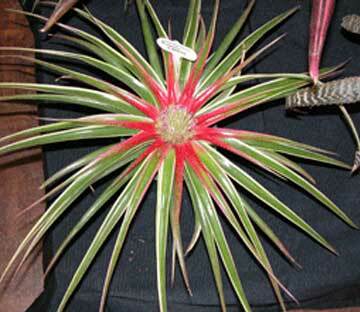 Most bromeliads can be grown from seed. Please let the laboratory know when you plan to send some seed so that we can prepare fresh media to sow the seeds as soon as we receive them. Bromeliad seedraising is particularly useful to import new varieties that would otherwise have to be imported through quarantine which is very expensive and many plants are lost in this process. 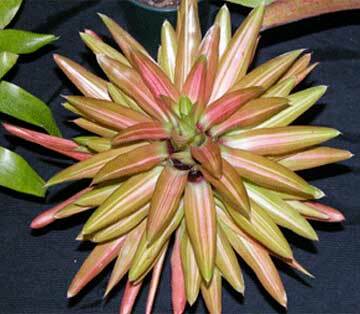 The methods needed to clone bromeliads varies from one genus to another. Therefore it is important to contact the laboratory and find out what type of tissue is required to clone the particular plant that you are interested in. Some plants are cloned from dormant buds from different parts of the plant and some from flower buds. Flora laboratories clone bromeliads to order and have clones of Aechmeas fasciata, Frederickii & Inca and several Guzmanias, Tillandsias & Vrieseas available in culture. Please Email us with details of the plants you require and we will send you details of our services. 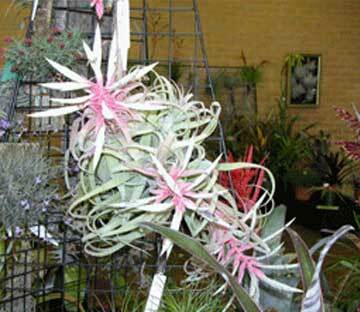 The following photographs were taken at a recent Bromeliad Society of Victoria show. The next Bromeliad Society of Victoria annual show will be held on Saturday 11th & Sunday 12th November 2017 Phoenix Park Community Centre Rob Roy Rd, Malvern East, Melbourne. This is just near the giant Chadstone shopping centre. This show is a great place to see a huge range of plants on show and also purchase plants. There is also a Bromeliad mini show held in conjunction with the Victorian Carnivorous Plant Society Annual Show on Saturady 2nd & Sunday 3rd December 2017 at Collectors Corner Nursery at the Gardenworld Complex, Springvale Road Keysborough, Victoria.